All sorts of cars turn up from Mini's to McLaren's. To be honest the weather wasn't great and I almost never bothered going. Definitely need to get the cars together!! My new brakes are currently making an annoying clicking noise following the recent change. Like a playing card in a bicycle spoke. Need to get that sorted next!! Full detail booked on 2nd October aswell to get rid of the Japanese owners bad car washing technique lol. I've had that, it was when I had a swap on alloys and the weights were just in a place on one alloy that made it just rub on the brake caliper, but it was just like a click click sound as you drive, had the alloys re weighted in a slightly different place and it was sorted. HI, a bit of info really, has anyone found out what turbo this uses, it says a new designed version, but i cant find out what it actually is, its not the vf42 is it? Found on the s204? Does the r205 use same turbo? What about the s206? The VF53 is such a pleaser. Is this car for sale on PistonHeads ? Sold it last week. They said they weren't traders but it was blindingly obvious they were going to sell it on. Going to build a house so it's gone. Taking a break from cars. 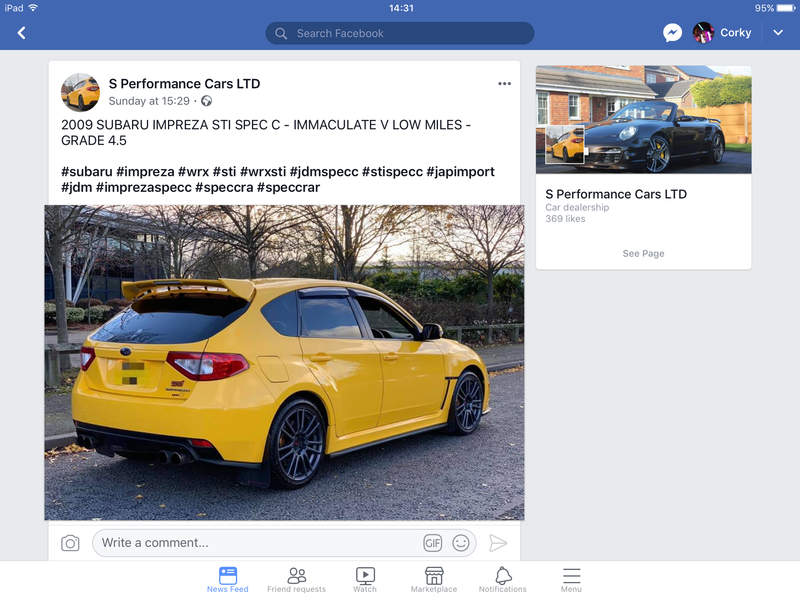 Seen it s performance cars, guy called toucheef tosh zabee or something? You wouldn't be able to import one for much less than the price that they are asking now. I won't say what I sold it for but at the price it's for sale it's a little to much difference imo. But hey a for sale price is not a sold price. Its a good car. I hit a kerb in a multi-storey so there is a scratch on the offside splitter. And after a summer of use it's due an oil change. Boot doesn't lock either. Turn key and enjoy otherwise. Last edited by PT82; 17 November 2018 at 05:59 PM. I don't know what it's listed at as only seen it on fb page. if it's over 22k then yes you can import one for upto that landed. Circa 20-22k landed a nice mileage one (if found). The trouble is actually finding one as original as this, without coilovers , at this mileage. This one drives like new, and is very clean. The H and S really suits it. I would have bought it off Paul at the drop of a hat. Lovely car, shame it's gone but totally understand the need to focus on house, drugs & hookers. It's all hookers with him, the house and drugs are just a red herring!